The best place on Historic Main to find the hottest new slot machines, Blackjack, Three Card Poker, Live Action Roulette and TWO full service cocktail bars! Gold Dust Casino has daily CASH Hot Seats and cash back player’s rewards! Stay in a one of kind suite at the Hotel by Gold Dust and experience beautiful artwork by legendary pin-up artist David Uhl. Enjoy the best steaks and BBQ in town at the awarding winning Mavericks Steak and Cocktails. 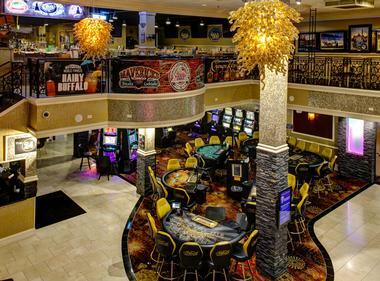 Located inside and above the Gold Dust Casino, Mavericks is home to the $8.95 Friday Steak Special! Souvenirs, collectables, gift items and T-shirts. Large assortment of imported and domestic cigars. Full selection of liquor, wine and beer. Best prices in town! 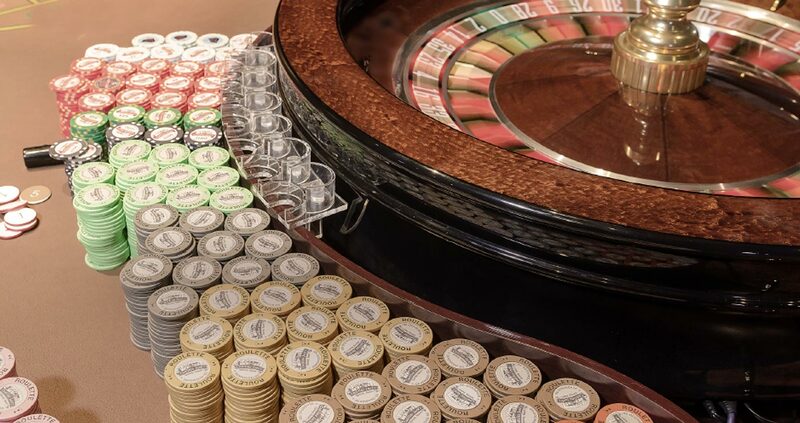 The best place on Historic Main to find the hottest new slot machines, Blackjack, Three Card Poker, Live Action Roulette and TWO full service cocktail bars! The Hotel by Gold Dust features beautifully remodeled rooms that showcase artwork by renowned pin-up David Uhl. 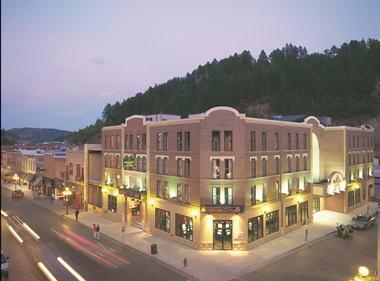 The Gold Dust Hotel is the newest boutique hotel located in the middle of the action on Deadwood's Historic Main Street. 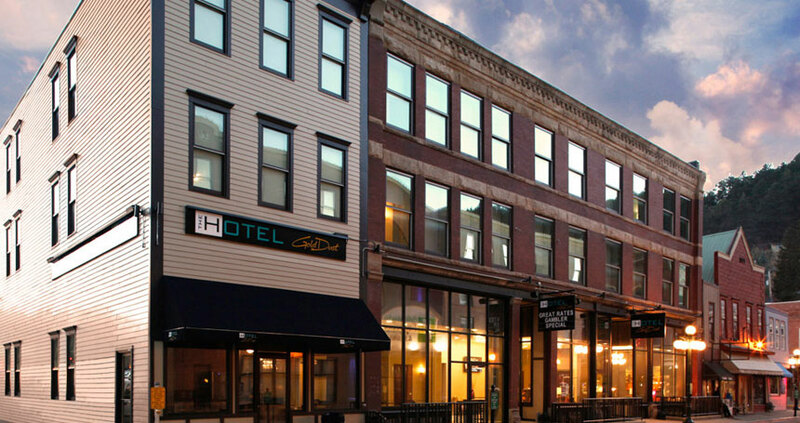 The Gold Dust 777 Lounge is located on the first floor of the Holiday Inn Express. The 777 Lounge is nestled in the Gold Dust casino. 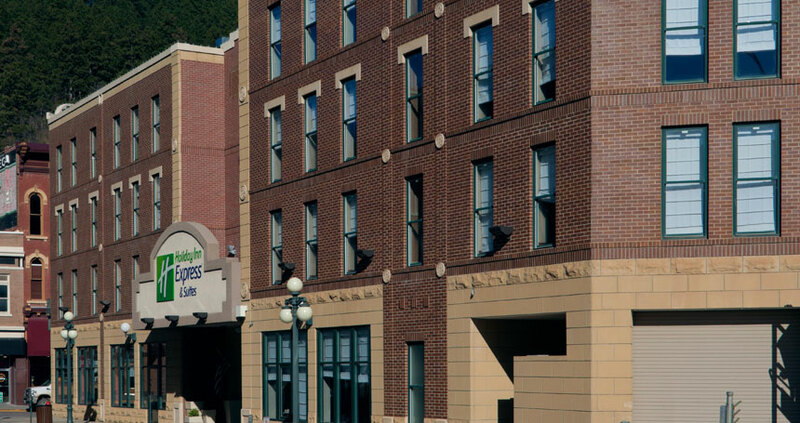 The beautiful Holiday Inn Express and Gold Dust Gaming Complex are located in the heart of the action on Historic Main Street in Deadwood, South Dakota.